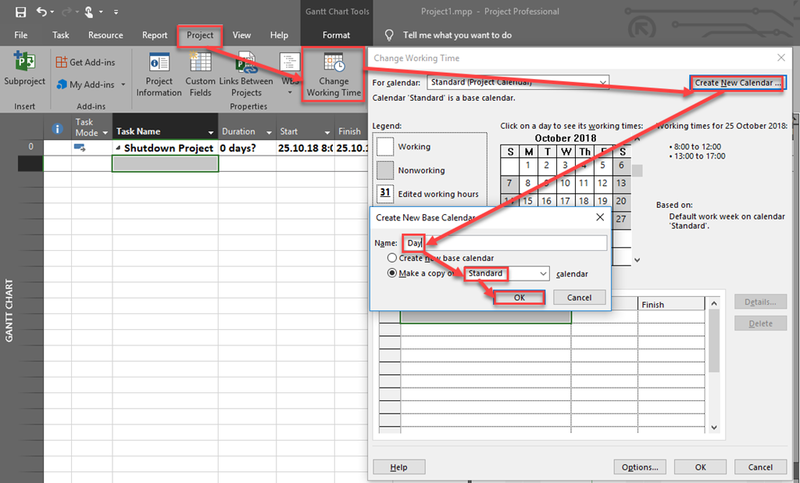 Today I’m going to show you how to make a traffic light which will show you when your work has exceeded planed or Baselined work in MS PROJECT 2019! I put two extra columns just to show you how will it work: Baseline work, and Work. 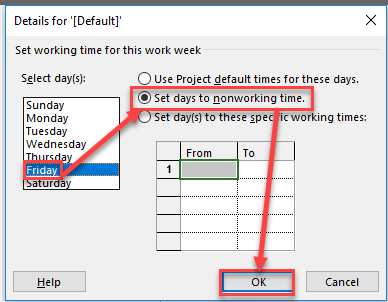 This is very good way to show when you are exceeding work from planned, especially when you have a lot of Tasks in your Project. One hint! Values like 0,1 or 2 can be confusing because you should remember them (0 is red, 1 is yellow, etc.). 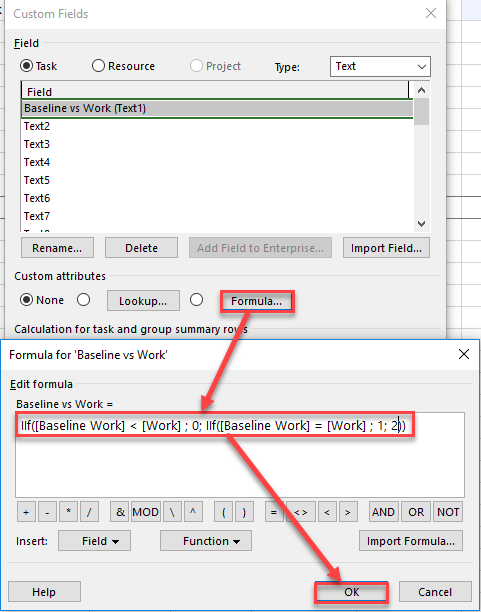 Instead of that I could put “red”, “yellow” and “green” in IIf formula, and the result will be the same, but more meaningful when you filter Task on that condition. 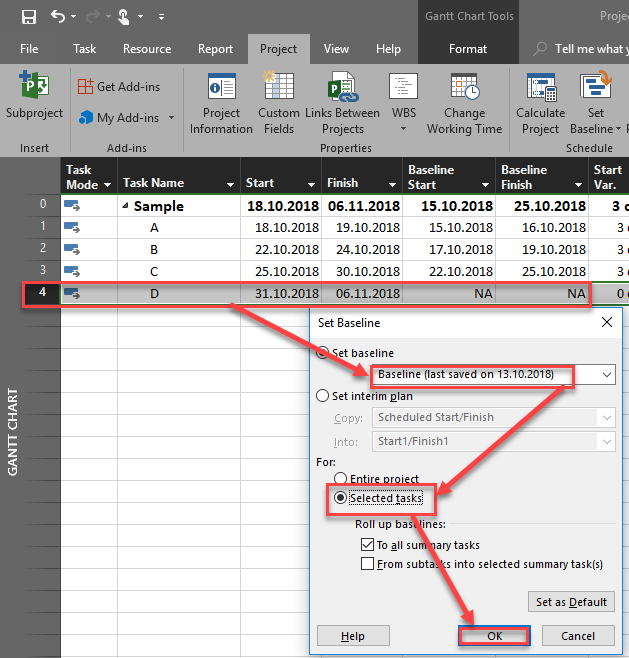 Today I am going to show you how to change Duration or Start/Finish date on Summary Task using MS PROJECT 2019. Here I have two possibilities. 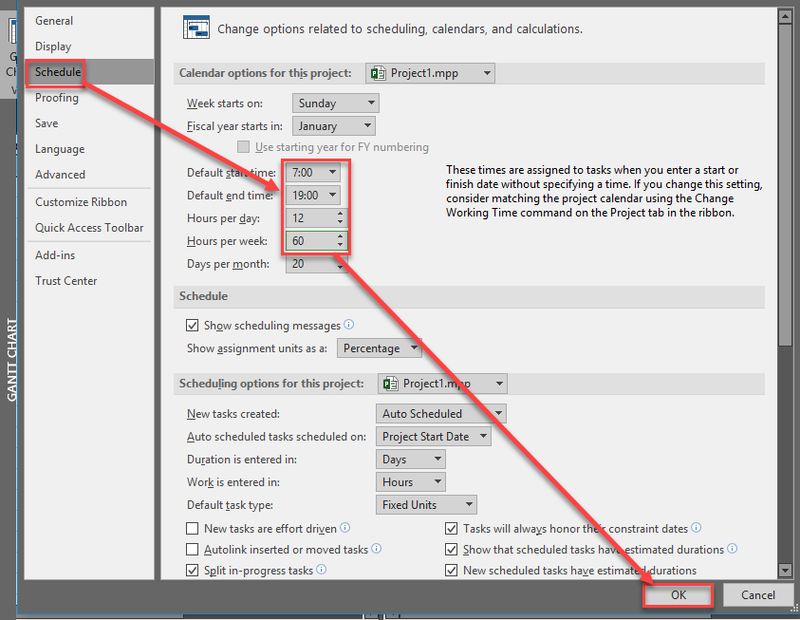 I can move the finish date according to subtask calculation, or I can switch Summary Task back to Auto scheduled Task. 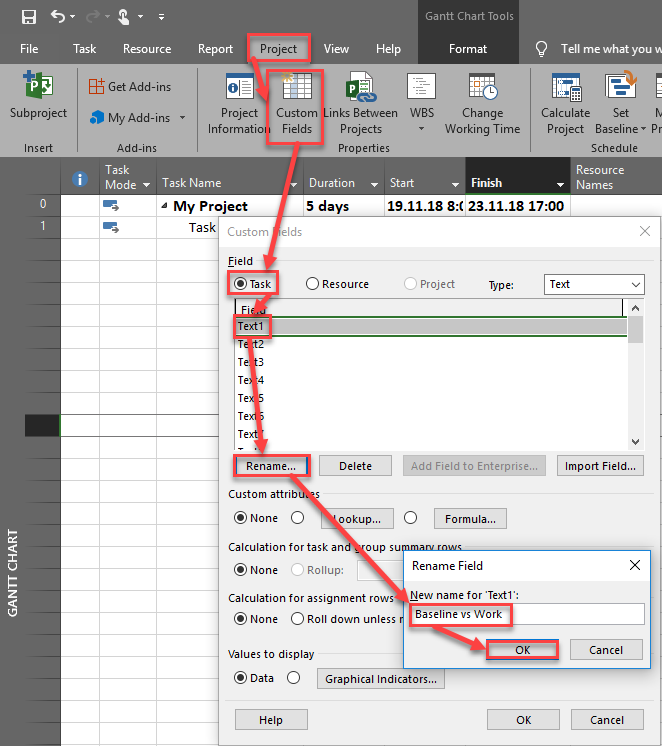 So, I have the same effect, but also I left to MS PROJECT to make all calculations with Auto scheduled Summary Task. OK! 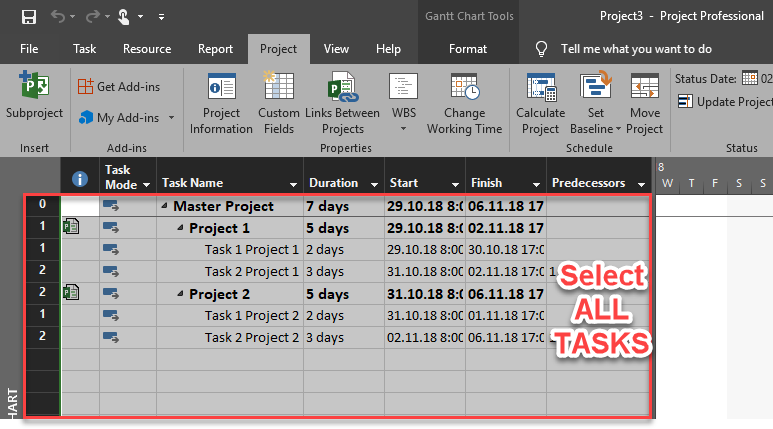 Let’ say that for both Projects Task 1 is 50% completed, so I will mark them as that (I’m not going to show you the picture how to do that!). Now let’ say that Status date is 02.11.2018. 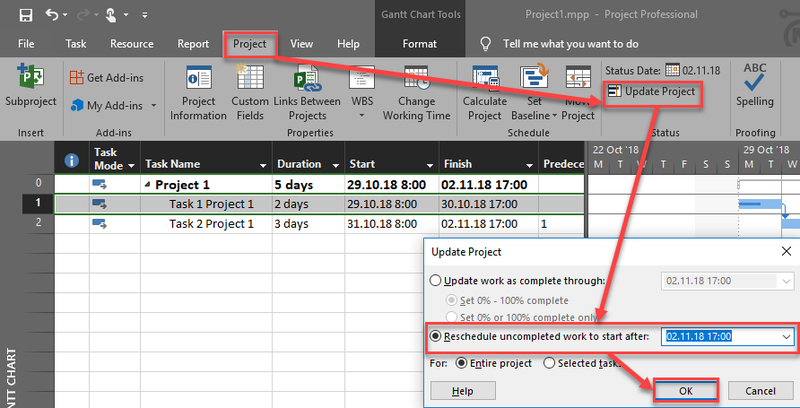 Now I want to reschedule uncompleted work after that status date for both Projects at once! I can do the same thing for the Second Project, as well. 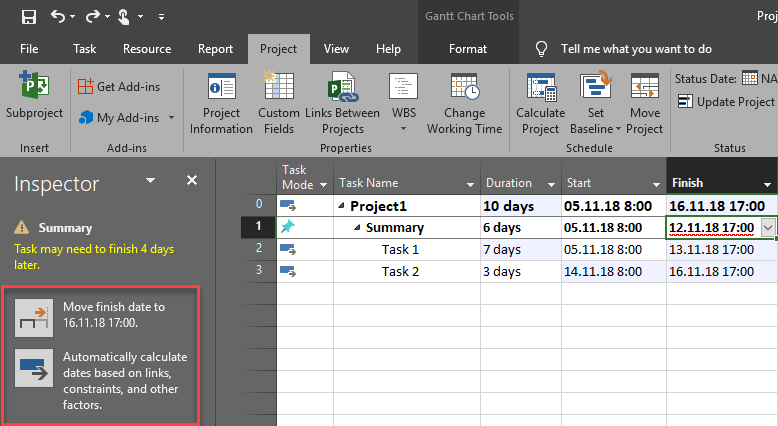 But, what if I have 10 Projects? It will be waste of time to do that in this way. DO NOT forget to check Link to the Project! If you do not, that Projects are just to be copied to Mater Project, and connections between Master and Subprojects are not established. 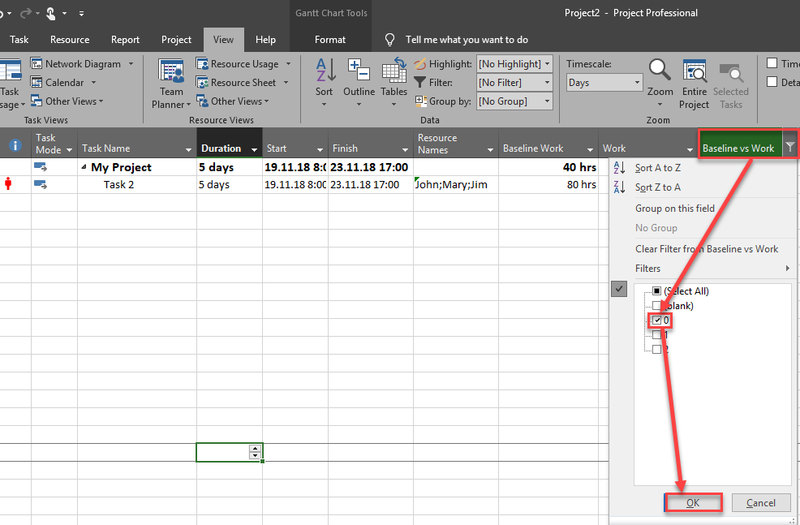 If I repeat steps like I did with Project 1, NOTHING WILL happen! 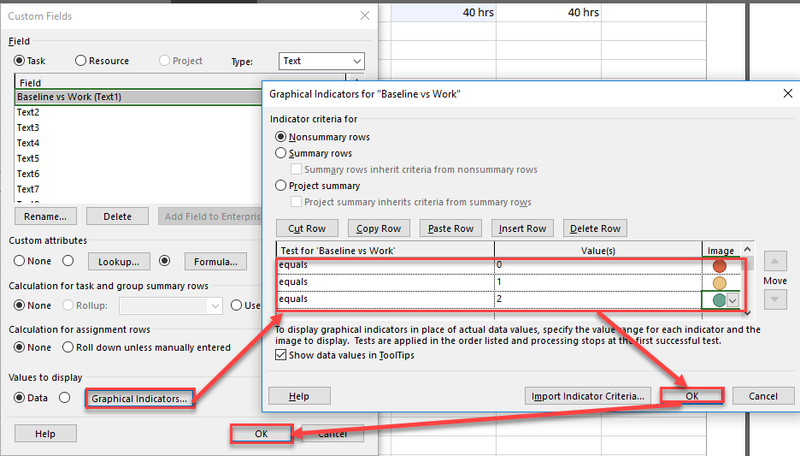 So I can not move all uncompleted Task for all projects after the status date as I did it with a single PROJECT. BUT! There is a way. 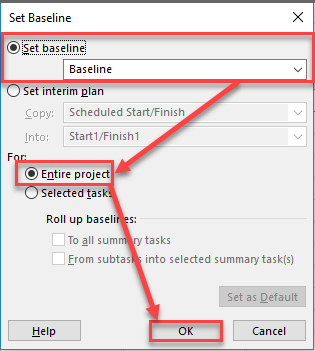 Important thing is that I have to Select in For: section – Selected tasks INSTEAD of Entire project! As you can see, I’ve got what I wanted. 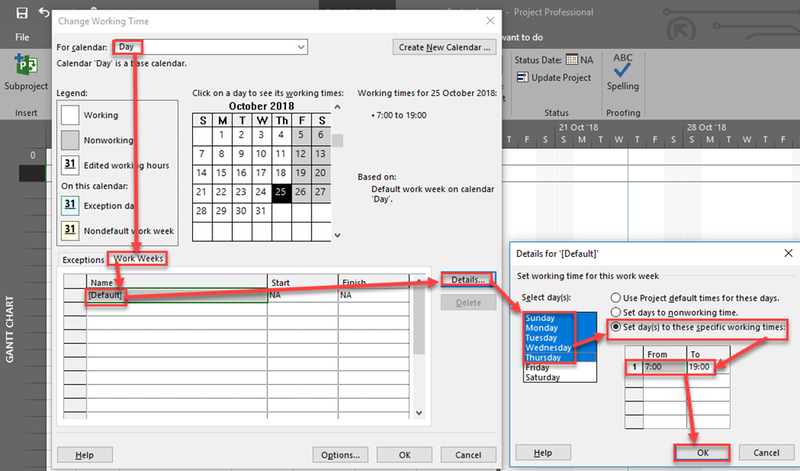 Those rescheduled Tasks ae reflected in original Projects as well (Project 1, and Project 2). last week I had great training with wonderful people in Oman, so this post is dedicated to all of them as a small THANK YOU. 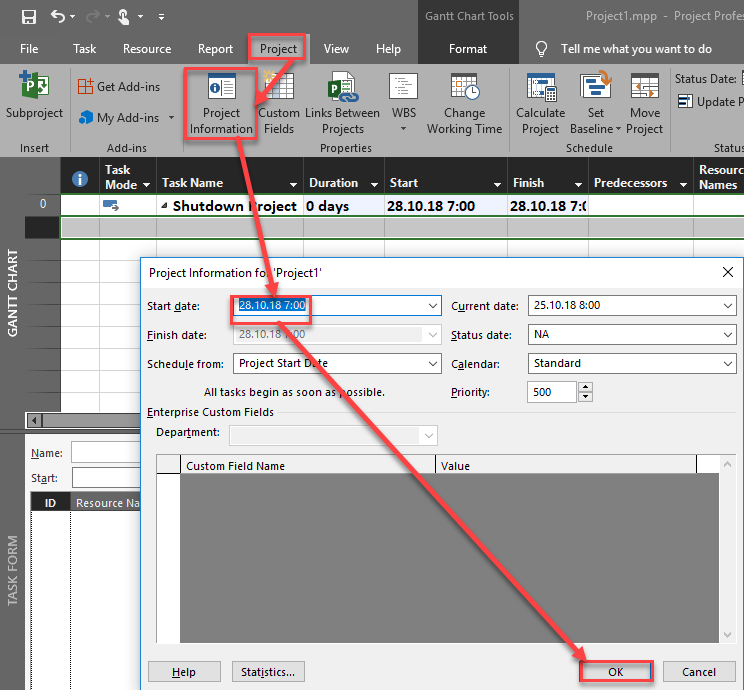 I will show a case in MS PROJECT 2019. Here is the Scenario. Factory has to be shutdown for three days, e.g. 72 hours for maintenance. In that time two shifts are going to do repairing each shift is 12 hours. And working time for Oman is from Sunday to Thursday. Start time is 07:00 each day. Now, I am going to create two Calendars, Night and Day! Friday will be non working day as well. Do not worry because Start date and Time is not ax expected. Total work = 36 hours! 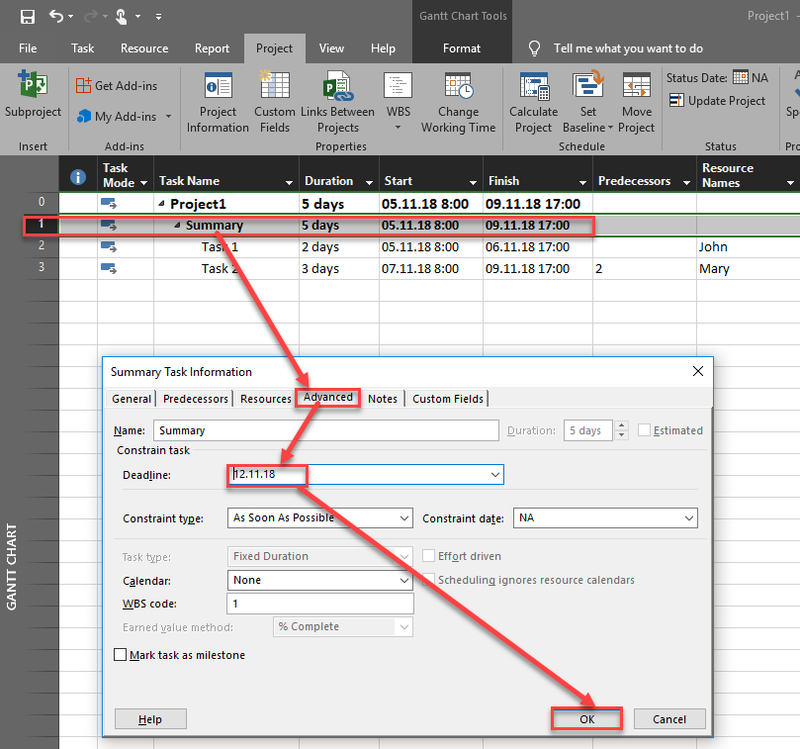 “Let’s say you have 3 tasks, A, B, and C. And they are scheduled to happen in sequence one after the other. You set the baseline on these three tasks and then start tracking the schedule. Assuming task A had a delayed start and finished 3 or 4 days behind schedule. Then you decide to add another task D as a successor to C (after the change has been approved). 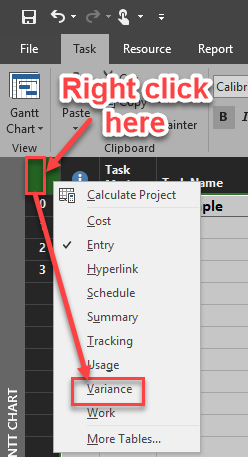 For that purpose, we need to add task D to the original baseline. 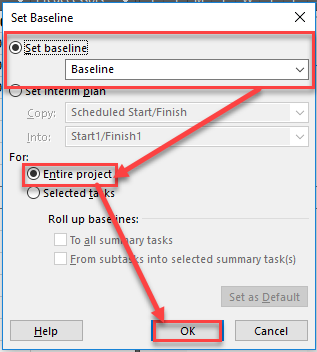 I selected Task D, Project->Set Baseline->For Selected Tasks->To All Summary Tasks. It did add Task D to the baseline but not to the original baseline. It creates a new baseline with a delayed start for Task D (due to the delay in the start and finish of Task A). I’m thinking this is because the predecessor on Task D was set after the delay. Since the change was approved, it should now become part of the original baseline. 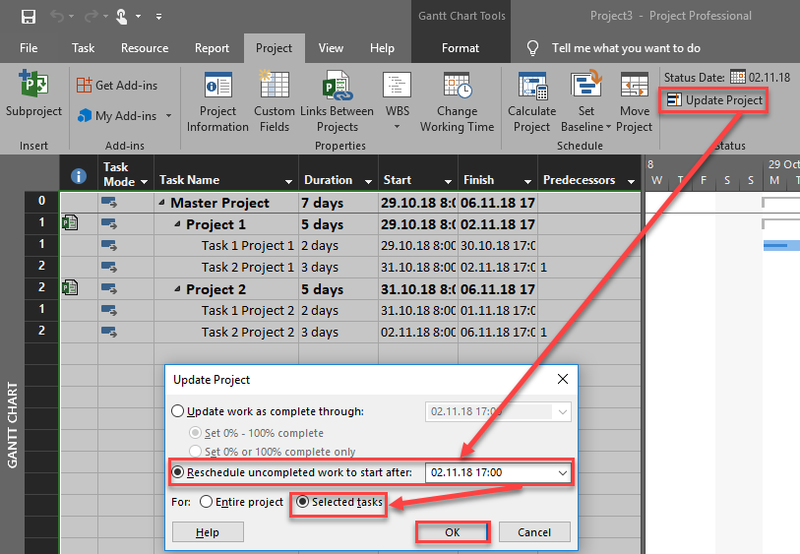 What he wants to do is to add additional Task (change) to Original plan, before Task progress was in MS PROJECT. And that is impossible just by adding the Task D. what he should do? He should first undo progress to get the picture like above and then add the Task. Then he should save the Baseline, and THEN make a progress for the Task A like I did. And this is real life case. If you make a progress (like I did for Task A), than it doesn’t make a sense to put Task D to the original plan, because it is obsolete anyway. 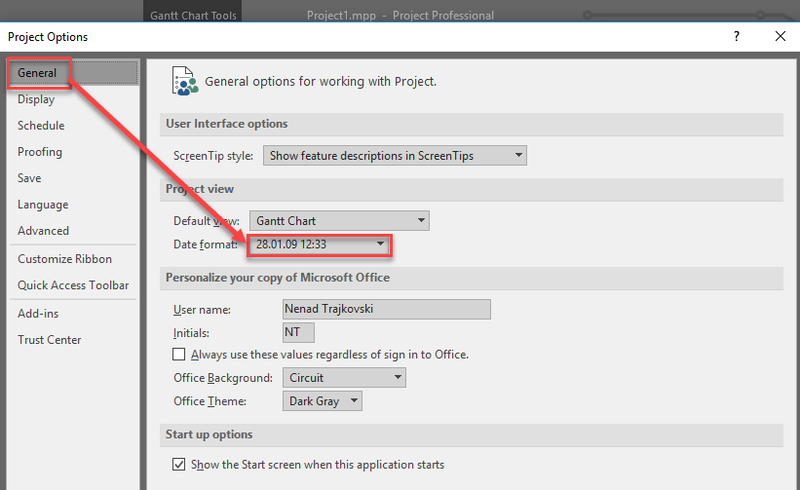 Resource replacement whit already assigned resource on Task in Progress–MS PROJECT! 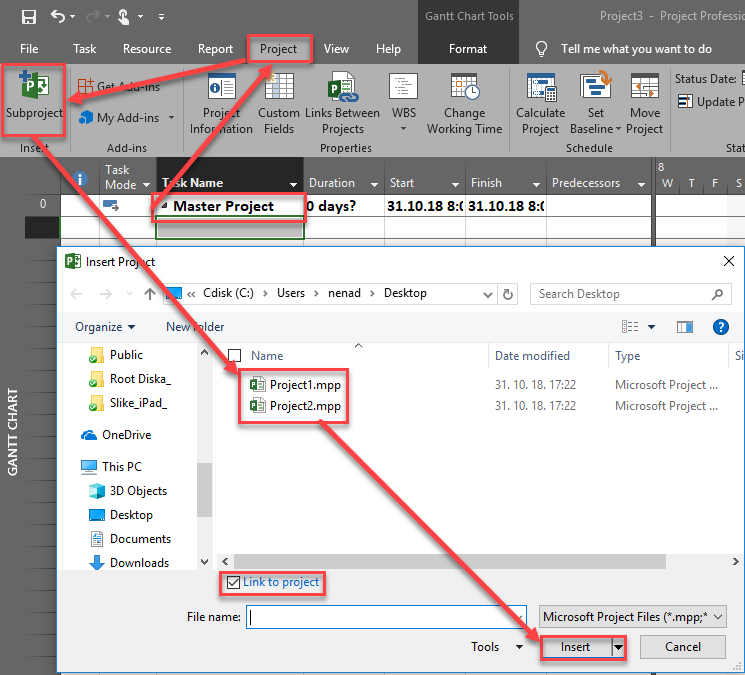 I will explain this case using MS PROJECT 2016. Now, after I “setup the scene” suppose that Mary left the Project, and john should take over her Job. 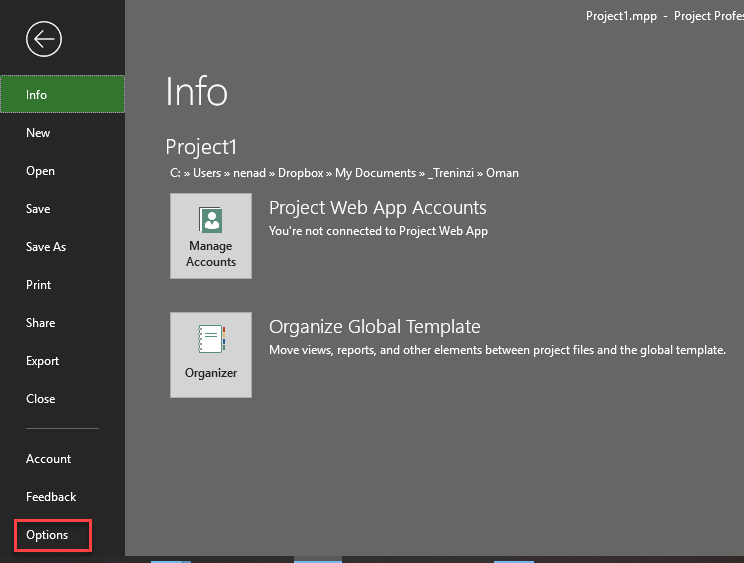 With MS Project you can replace one resource with another, but not with the existing one. It means that I can replace Mary with Joanne for example, because she is not assigned to the Task, but not with John. So, now Total Work is 160 hours per John, Actual Work is 48 hours, and Remaining Work is 160-48=112 hours. Duration id 20 days (160 hours of total work / 8 hours per day = 20 days). 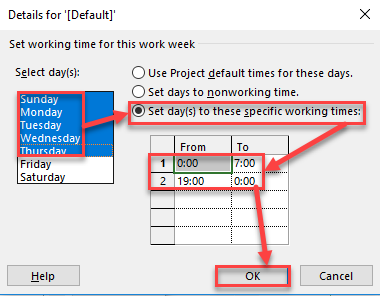 Actual work is 48 hours because when john and Mary were together on the Task, they have 80 hours work each and I put 60% complete, so 60% of 80 hours is 48 hours. This approach is wrong because I deleted the actual work done By Mary which is 48 hours. Why? Because if Mary leave the Project she cannot “undone2 the work already done in it. So, how can I solve the problem. Let me show the status again before Mary has left. This is the right approach. a lot of work, but this is the way how to handle this situation.